The Boston Terrier breed originated around 1870, when Robert C. Hooper of Boston purchased a dog named Hooper's Judge of a Bull and Terrier type lineage. Judge's specific lineage is unknown, however, Hooper's Judge is either directly related to the original Bull and Terrier breeds of the 1700s and early 1800s, or Judge is the result of modern English Bulldog's being crossed into terriers created in the 1860s for show purposes, like the White English Terrier. Judge weighed over 29.7 pounds. 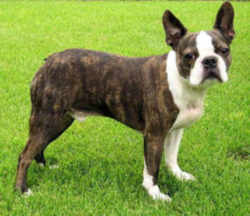 Judge's offspring interbred with one or more French Bulldogs, providing the foundation for the Boston Terrier. Bred down in size from pit-fighting dogs of the Bull and Terrier types, the Boston Terrier originally weighed up to 44 pounds. 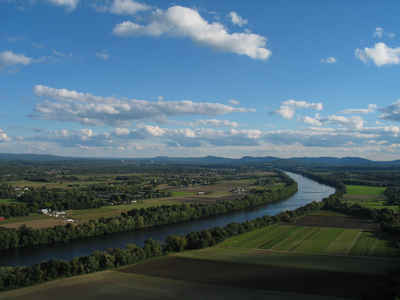 The breed was first shown in Boston in 1870. By 1889 the breed had become popular in Boston that the dog fanciers formed the American Bull Terrier Club, however, this name was not well received by the Bull Terrier Fanciers nor was the breed's nickname, "roundheads". Shortly thereafter, James Watson suggest that the the club changed its name to the Boston Terrier Club, and in 1893 it was admitted to membership in the American Kennel Club, thus making it the first US breed to be recognized. 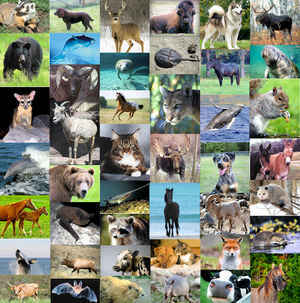 It is one of a small number of breeds to have originated in the United States. 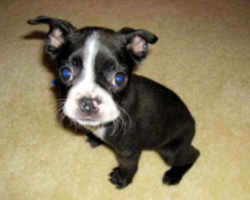 The Boston Terrier was the first non-sporting dog bred in the US. In the early years, the color and markings were not very important, but by the 1900s the breed's distinctive markings and color were written into the standard, becoming an essential feature. Terrier only in name, the Boston Terrier has lost most of its ruthless desire for mayhem, preferring the company of humans, although some males will still challenge other dogs if they feel their territory is being invaded. Boston Terriers have friendly, very strong, lovable, unforgettable personalities. They can range in temperaments from those that are eager to please their master to those that are more stubborn. Both can be easily trained given a patient and assertive owner. The law designating the Boston terrier as the official Massachusetts state dog is found in the General Laws of Massachusetts, Part 1, Title 1, Chapter 2, Section 14. Section 14. The Boston terrier shall be the dog or dog emblem of the commonwealth.